Whether you work for a business or are a student, when it comes to internships, work experience or placements, why should you bother?! The truth is, there are opportunities out there for everyone to get involved in. 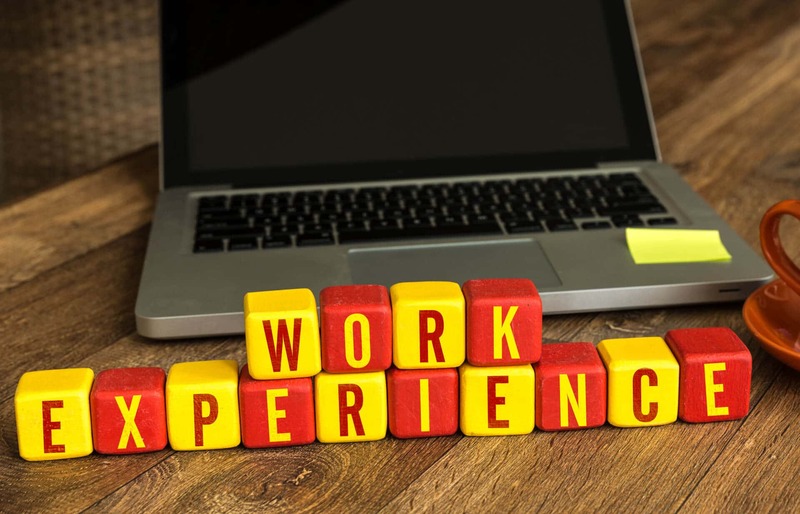 In this blog, I am going to explain why students should seek placements, internships or work experience, as well as the benefits to businesses for giving opportunities to students and hiring them. Most students would have on average somewhere between 8 to 15 hours of teaching a week, depending on the university, subject and length of their course. For every 1 hour of teaching, the students should / are encouraged to do a further 1-2 hours of independent studies (in the library, at home etc). Therefore, there is no excuses not to seek a part-time job – some might get a job in a local supermarket, shop, pub, bar or club. Others may look for professional experience – related to their course. Either would count towards valuable experience and would put them on the job ladder. If you’re a student and do not want to have a job during term-time then that’s fine – focus on your studies – but do seek opportunities to complete work experience, placements or internships during the summer. A students summer is the holy grail of holidays – most of the time from mid May to mid September – that’s a whopping 4-5 months! If you added this together over every year of your studies, then you would end up with 12-15 months worth of experience under your belt. As reported by The Guardian, based on research carried out by NUS, 53% of employers are more likely to employ someone with some experience than someone who has none. Research undertaken by RateMyPlacement.com shows that without work experience 52% of graduate employers rate your chances of receiving a job offer as ‘not very likely’. Furthermore, a report by independent market researchers – High Fliiers – claims that recruiters have confirmed that they expect 1/3 of this year’s full-time graduate positions to be filled by graduates who have completed previous internships or placements. Having taken on a number of college and university students myself (more then 30 over the course of the last 5 years), quite a lot of them think they will end up making coffee for the team. This is not true (or it isn’t in our office) – before you commit to anything, you should ask the interviewer for a job description and ask what a typical day in the office will look like. Also, if you’re applying for a bigger company, research them – Google, LinkedIn, social media platforms – maybe a student has written about their time there. “be someone else’s slave” is the second most common thing I hear from students that refuse to apply for internships or placements at smaller companies. However, I would argue that smaller companies (SMEs) offer as much experience and involvement as large corporations. In fact, I would go as far to say that smaller companies can offer you more – there is less competition and if you’re good enough, you will open yourself up to more opportunities afterwards. “I applied to work at GottaBe! as I like the fact that the company is fast growing, yet managed by a small team. I feel like my ideas will be heard and potentially taken onboard”. Nobody likes to work for free, but sometimes we have to. At some point, somewhere, we have all done something, for someone, for free, simply not expecting anything in return other then maybe a smile and a ‘thank you’. For example, my team and I offer our time to businesses for free – it’s part of our initial consultation, but also an investment to build rapport with them. This should also be the same for work experience, as investing your time into this is very valuable. Not all internships, placements or work experience is unpaid – it’s at the discretion of the employer and is something you should check before you apply. Some companies might not offer you paid job opportunities, but will offer other benefits like traveling expenses, paying for lunches or rent. A few years ago, I did a test at my own company – we advertised our summer placement (6 week program) as unpaid, but once shortlisting the candidates and having chosen who we wanted, we informed them that there was a catch and their work will be paid hourly. Why did we do this? Well, instead of sifting through 100s of CVs, we only had about 80. But, we knew that those who applied were determined to work and keen to gain experience, as they were prepared to work for FREE. As with any job, if you work your socks off and show you’re good at it, the company will notice this sooner rather than later. The successful completion of placements, work experience or internships with a company, may be your first step into a full-time job once you have graduated. According to a recent survey by RateMyPlacement – 71% of graduate jobs are filled by placement students from their placement programs. Personally, I know some of my university friends have landed themselves nice jobs with a company that they worked with over the summer and they didn’t even have to apply for them, or go through an interview process. Instead, they received an offer letter and then a few weeks later started their first, full-time job. If I spot a good candidate at my company, I tend to keep hold of them myself – starting from a part-time basis, before moving them into a full-time role. It’s a good way to do it – why? They have already been inducted; know how the company operates, what are our values, missions and vision for the future. Whether it is Coca Cola, Intel, Burberry, Saatchi & Saatchi or Jack the lad down the road, it doesn’t matter who you want to work for, the initial research process should always be the same. Identify the company you want to work for, check the dates when their applications are open and what they entail (bare in mind some companies recruit 6-8 months in advance and some only offer fixed term placements – 3, 6 or 12 months) and then apply. Having said that, some companies may not advertise their student opportunities online, but this shouldn’t stop you from dreaming about working for them. Instead pick up your mobile and call, e-mail or tweet them – simply enquire! Worst thing that can happen is that they come back to you to say no. But what if they say yes? You will be one step closer to your dream placement! As discussed above (in the student part – Unpaid vs Paid), not all businesses offer paid opportunities – if you really cannot afford to pay them per hour, perhaps you could look at different ways of remuneration – there are firms out there who offer fixed pay per week (for example – £150 per week) or offer to pay for their travel to and from work, as well as any other expenses they may occur whilst working for you – lunches, coffees and etc.). Story written by Tomasz Dyl, Managing Director of GottaBe!. Tomasz is also an Associate Lecturer in Marketing at Southampton Solent University. Calling all students – join our award winning team! How Is Virtual Reality Changing Marketing?